Danish and American bands LLNN and Wovoka unite on a split album regrouping the former band’s part, Marks, and the latter’s, Traces. The synth-tinged blackened doom of LLNN is perfect for a soundtrack to pessimistic futurism, with its slow, droning, and heavy riffs atop which the singer screams his wrath. The six tracks of this first side make up a little less than twenty minutes, the same as Wovoka’s single song, ‘Traces’. 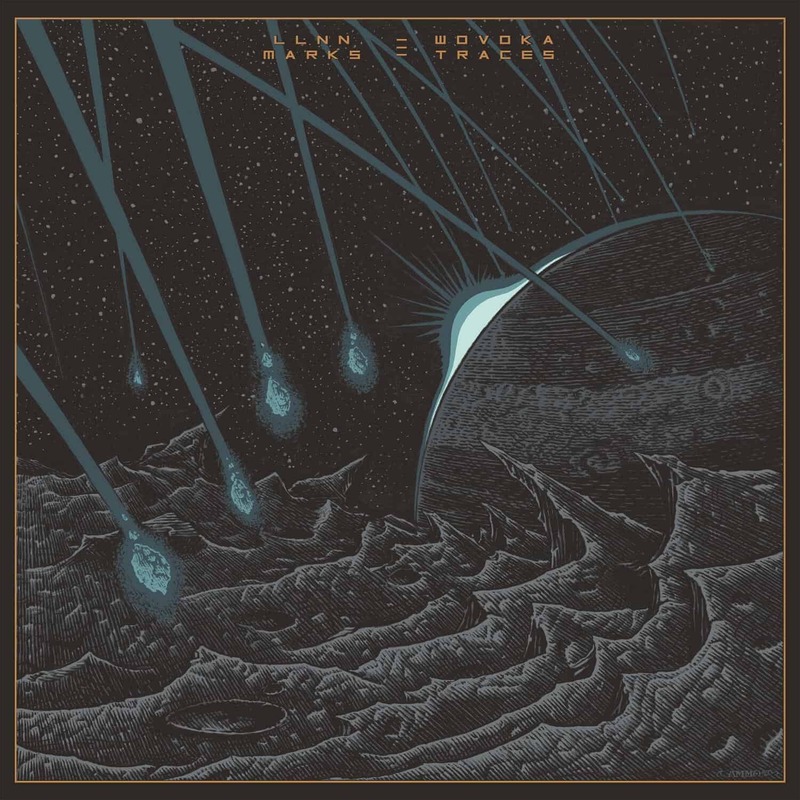 While I was unfamiliar with the Denmark armada, Wovoka’s latest album, Saros, stuck with me as an example in post-metal. They’ve put yet another badge to their chest with this new track, as it’s one massive and depressive piece of music. The sludge on this one is strong, too, which only seems to exacerbate the aggression already oozing out from this track. Overall, Marks/Traces is an amazing split album that will hopefully make you discover LLNN, Wovoka, or both!